NoMore Recipe Conflict Mod 1.12.2/1.11.2 for Minecraft solve the recipe confliction when crafting the item when you have installed too many mods. When you install a lot of mods with similar features (or standard item sets), the high capability happens the confliction of crafting recipe when crafting the item. The confliction of crafting recipe means when two or more than two items are using one recipe, which causes the compound to the game. The result of this situation lightly will not create certain items with conflicted recipes; or sharply, the game will crash, the worse thing can be your computer will lag while hitting the game. So, what will we do to finish this situation? If I were you, I would research and install the mod named NoMoreRecipeConflict Mod. It is a mod to solve recipe confliction in a feature. How? 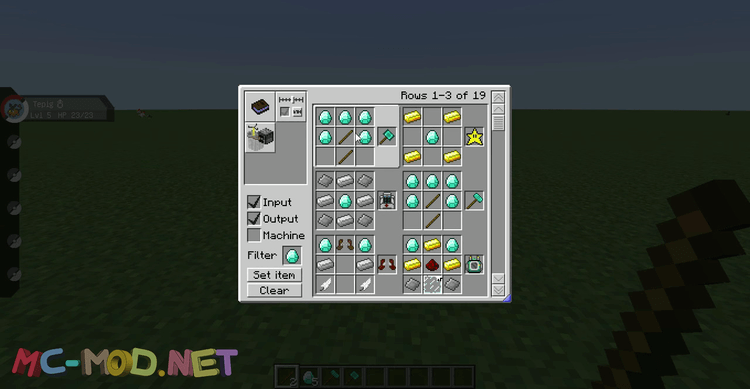 This mod will add one button in a crafting table with an arrow icon in the game. This button can move between the products with simple recipes. Easily, I will give an example: With one crafting recipe using one wooden block, it will give four wooden plank blocks or two wooden plank blocks. We only need to press the arrow in a crafting table to choose the product to craft. It is natural and necessary in the modpacks. You can download NoMoreRecipeConflict Mod at the link below. Download Forge Installer, NoMore-Recipe-Conflict.jar file.